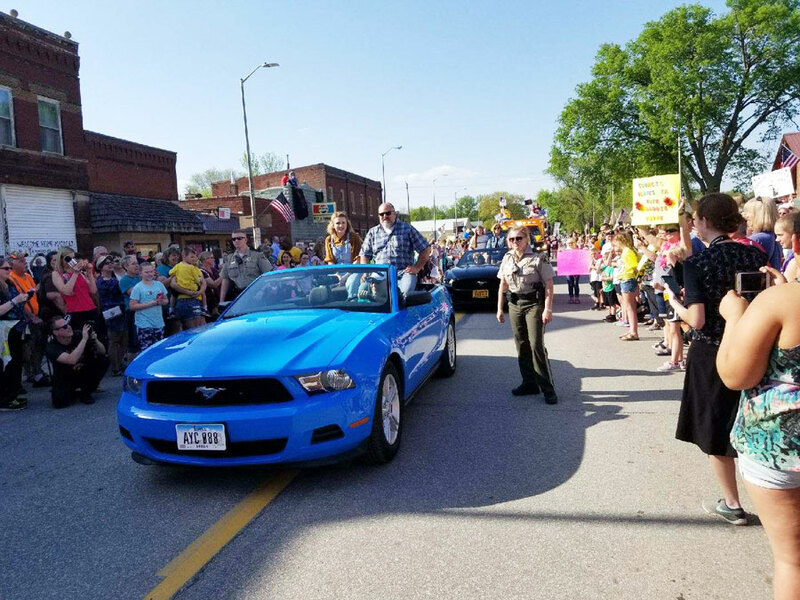 Maddie Poppe in the parade through her hometown of Clarksville. More than 10,000 people filled the Butler County Fairground grandstands in Allison Tuesday night to welcome home Clarksville native Maddie Poppe. 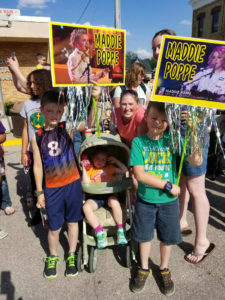 Poppe, one of three contestants left on ABC’s “American Idol”, was celebrated in a parade through her home town before taking center stage about 10 miles west and singing several songs she’s performed on the show. 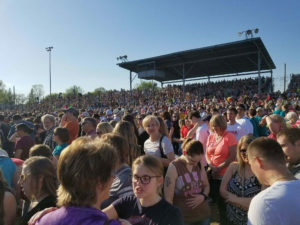 Maddie Poppe gave a free concert at the Butler County Fairgrounds. Poppe spoke to the audience detailing her career as a musician which at one point, according to her mother Tonya, faced some uncertainty. Tonya says they were sitting in her office a couple years ago trying to decide what Maddie’s backup plan would be if music didn’t work out. A few years later Tonya says her husband saw that American Idol was asking for auditions. “And she decided what did she have to lose, and I am going to try this again,” Tonya says. Droves of fans from Iowa, neighboring states, and even Africa held signs showing support for their favorite American Idol. 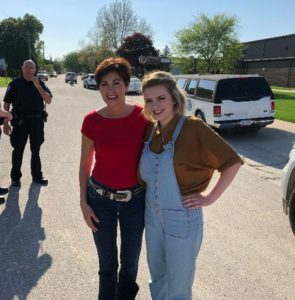 Governor Kim Reynolds and Maddie Poppe. Governor Reynolds will sign a proclamation today establishing Sunday, May 20th as Maddie Poppe Day in the state of Iowa. Governor Reynolds hopes the proclamation encourages Iowans to vote for Maddie Poppe as the next American Idol. Poppe dedicated the song, “Landslide,” to her hometown of Clarksville. Footage from last night’s parade and concert will be aired Sunday night during American Idol on ABC.